At various moments in my bookish life, I have made strides to read some of the classics. You know, like George Orwell’s 1984 or Steinbeck’s Grapes of Wrath. Somewhere in that exhaustive list, lay Margaret Mitchell’s Gone With the Wind. Now, I think I should mention that I watched the movie first. In fact, Gone with the Wind is one of my favorite movies of all time! The movie inspired me to read the book. 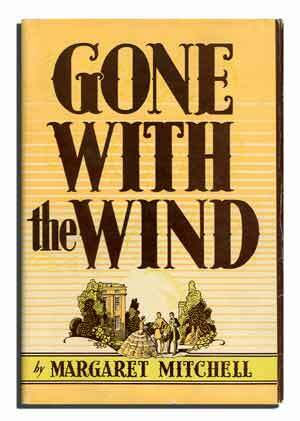 Gone with the Wind is a Civil-War era book that chronicles the period (both war and reconstruction) through main character Scarlett O’Hara. Scarlett O’Hara is the daughter of a wealthy plantation owner in the south. When the story opens, Scarlett’s life is filled with lavish parties, beaus and the finer things in life. She is spoiled, pampered and lives a very comfortable life. Then, in a blink, everything changes and the charmed life she knew is gone forever. Scarlett O’Hara is my favorite character in a book or movie. Ever. Though the character is manipulative and at times downright cold-hearted, it is her strength and her love for Tara that always shines through. Scarlett is tenacious and brave. She is often blinded by what she wants rather than by what she needs. In this book, I got swept away by the southern voices, decoration and times and traditions of old. Mitchell paints the picture so complete, that she makes you feel like you are there. 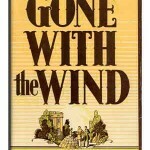 You get a sense for how life was before the war and then when the war starts, that life is forever gone — with the wind. Gone With The Wind tells a great story. 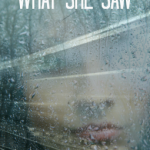 It has everything — suspense, romance, history and coming of age.